Ring, the garage and workshop equipment specialist, has launched a new inspection head torch – the Ring RIT1070 Zoom240 LED Rechargeable Head Torch. 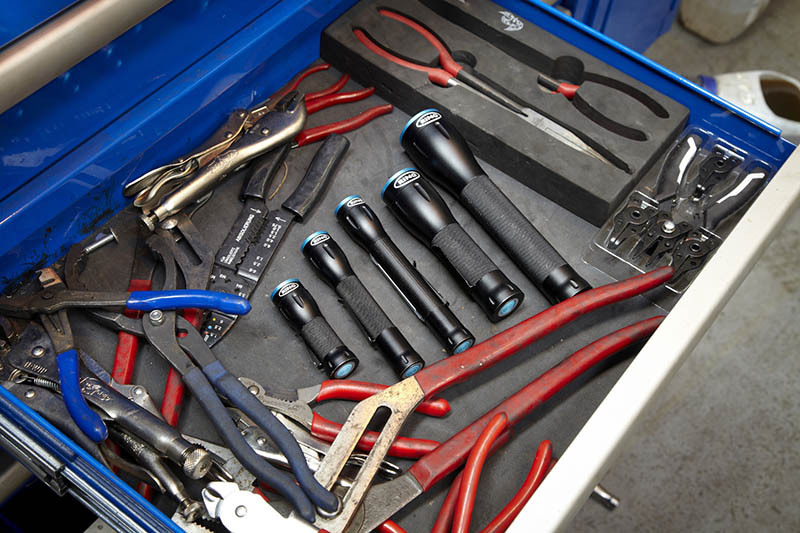 It’s the ultimate hands-free tool for mechanics that need powerful light in the workshop. This new inspection head torch emits a bright 240 lumens, giving excellent illumination when working under the vehicle or in the engine bay. It is the latest addition to the Zoom Inspection Torch range, and, as with the rest of the torches, it features an optical zoom for either a wide angle light or a focused beam. The LED light has a high colour temperature – 6000K – which is closer to daylight, providing a comfortable working environment when in a dark workshop. The head torch is rechargeable, and features a 10.36Wh Li-poly battery, with integrated IC Protection that prevents the battery from discharge or damage from overcharging. The Zoom240 comes complete with a micro-USB charging cable, and one charge can last up to eight hours – meaning no need to disrupt a working day to recharge. Plus, being rechargeable removes the cost of replacing batteries. The head torch is lightweight, comfortable and the slimline battery unit is less bulky than a torch with replaceable batteries. All of Ring’s products undergo thorough testing in our ISO:19001 Quality Assurance facilities. The Zoom240 has been assessed to ensure the lighting is suitable for workshops, and also that the construction and design of the head torch is robust and comfortable to use for a full working day. The Zoom240 is the latest addition to the popular Ring Zoom Inspection Torches, which have been designed to give excellent performance for technicians but also be lightweight and easier to carry than a traditional inspection torch.